"Invisibilia" is a program from NPR heard intermittently on WRVO. The next series starts Sunday, April 1 and continues at 10 a.m. for three weeks. This season examines how the stories we tell ourselves can lock us into one place or another and what happens in the space between. Hosts Alix Spiegel, Hanna Rosin and Lulu Miller. "Invisibilia" is about the unseen forces that control human behavior -- things like ideas, beliefs, assumptions, and thoughts. 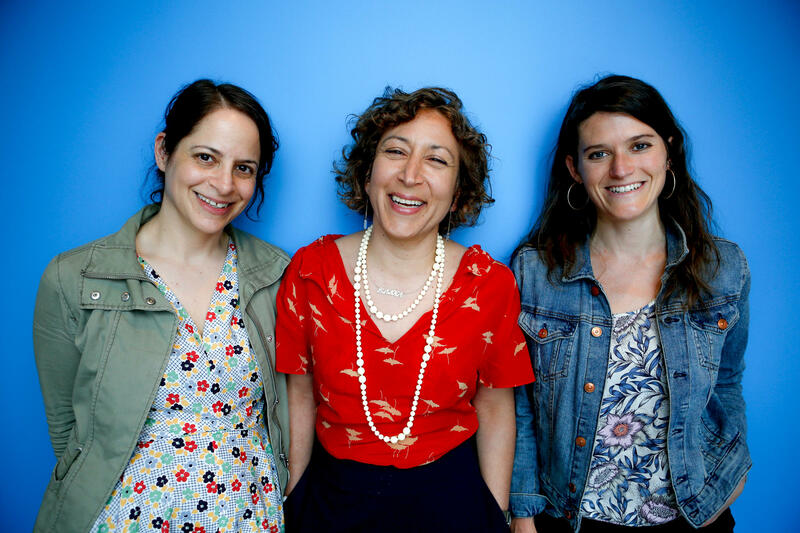 Co-hosted at times by Lulu Miller, Alix Spiegel and Hanna Rosin, who have roots at "Radiolab," This American Life," and "The Atlantic." "Invisibilia" interweaves and narrative storytelling and fascinating new psychological and brain science, in a way that ultimately makes you see your own life differently. February 15: Our Computers, Ourselves. This week, we look at the ways technology affects us, and the main question is : Are computers changing human character? You’ll hear from cyborgs, bullies, neuroscientists and police chiefs about whether our closeness with computers is changing us as a species. This is the final broadcast of NPR's six-week series Invisibilia! Thank you for listening. Fell free to offer your thoughts and comments by sending us an email to feedback@wrvo.org.